Verdict: Best for those who love typical Maharashtrain taste and less spicy food. 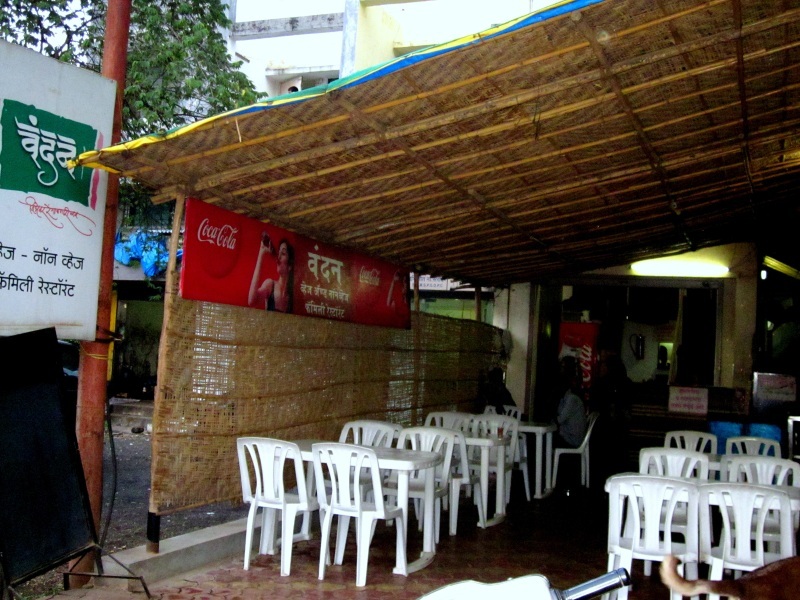 Establish in July 2009 “Vandan Family Restaurant ” is third restaurant in the series of hotels proprietor ” Mr. Panjabrao Parshuram Thorat” started. A typical Maharashtrian restaurant in gangapur road “Vandan” has quickly become a must visit eating place in near by localities, Their “Chicken Masala” and “Chicken Handi” are unforgettable according to their customers. Food here is quite straight forward typical dishes usually found on every menu card but Vandan has a small twist all dishes are completely made in Maharashtrian flavors and spices and all the spices are grounded fresh every day,their food is great alternative for those who hates eating same plain boring chicken dishes of same taste, every dish will satisfy your palate. We love their Mutton Kheema which is prepared in “khada masala” and served with “Pav” ,”Roti”. Apart from Kheema as we mention above “Chicken Handi” is great choice for main course “Chicken Masala” however is not really goes well due to excessive gravy and oil. After a kheema we highly recommend you to try their “Chicken Thali” Or “Mutton Thali” economically priced Vandan “Chicken Thali” will definitely the suits for lunch ,thali comes with Chicken Masala, Dry Chicken ,Rice,Rotis, Thecha (Maharashtrian Spicy Chatni) and Boiled Egg , It might seems little bit heavier when it’ll arrives to your table but don’t go for its size, It’ll totally satisfy your taste buds and will fits really well in your tummy.They also offer Veg preparations but as long as our opinion is concern go with Non-vegetarian food . Vandan’s ambiance is really good for family lunch,dinner and for small gate together , they have comfortable seating arrangements ,service is little slower but it doesn’t matter as their taste is worth of waiting. Finally good food , pocket friendly pricing makes Vandan a must try Non – Veg restaurant of Gangapur road. Previous Previous post: Just Nashik Weekly. Next Next post: City Hangouts “Ganapati Bappa” around Nashik City.